Sew Cute: SOLD - More coming soon! SOLD - More coming soon! 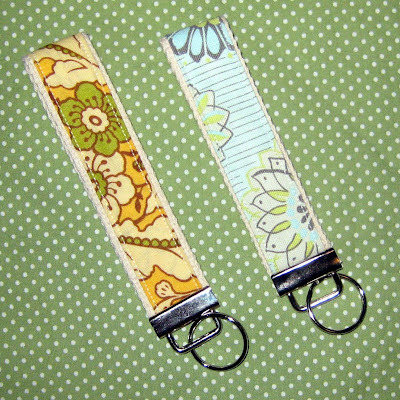 Wristlet Key Fobs are great for mom. Never lock your keys with your baby in the car with these on your wrist. It gives you the ability to be hands free keeping your family safe. I have too many fabric choices to list, so if you see a fabric you like any where on the site it is probably availible for this product.